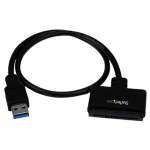 Connect a standard SATA drive to a Micro SATA motherboard connector. 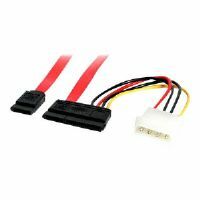 This 12in Micro SATA to SATA with LP4 Power Adapter cable lets you connect a regular Serial ATA hard drive to a Micro SATA controller equipped motherboard as well as to the computer power supply through an LP4 connection. 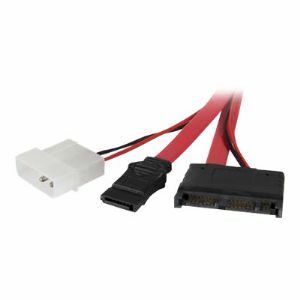 A cost-effective compatibility solution, the Micro SATA/SATA adapter cable allows the use of regular SATA drives with Micro SATA motherboards.